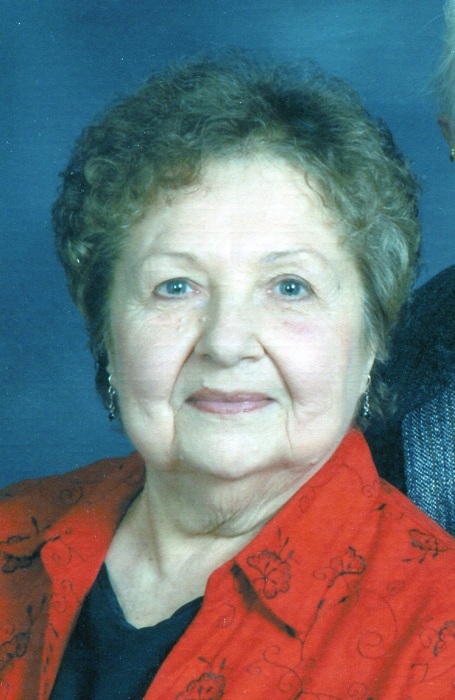 Darlene died Friday, April 5, 2019 at Countryside Home, Madison. Darlene Mae was born July 14, 1936 to Joseph and Sylvia (Slechta) Frank on a farm west of Verdigre. Czech was the main language spoken at home so when entering 1st grade she had to learn the English language. She attended country school till 8th grade later graduating from Verdigre High School in 1954. She married Leo Marshall on November 28, 1956. Four children were born to this union Patricia, Russell, Connie, and Carol. She was a member of the American Legion Auxiliary and helped on the farm until the family moved into Verdigre. While on the farm, Darlene and Leo started a polka band called Leo’s Music Makers. They played at many weddings and dances in the area for many years. She later started working as a CNA at the Creighton Hospital and nursing homes in Verdigre and Bloomfield. Darlene moved to Norfolk in the early 1980s and enjoyed working at Region IV until she retired. When Darlene wasn’t helping others, she was cooking and baking or her favorite thing to do which was working outside in the yard. Darlene married Bob Foster of Madison May 17, 1999, at Eureka Springs, AR. They lived in Norfolk for a year and then moved to Madison where they have resided for the last 18 years. She enjoyed tending to her flower and vegetable garden. Darlene and her husband Bob moved to Countryside Home in Madison in June of 2017. Darlene is survived by her husband Bobby of Madison, children, Patricia Kellogg (Richard Polt) of Stanton, Russell (Betty) Marshall of Verdigre, NE, Connie (Rick) Holdorf of Wayne, NE, Carol Potter (Mark Howey) of Gayville, SD, 10 grandchildren, many great-grandchildren and a brother Robert (Janet) Frank of Verdigre. She was preceded in death by her parents and a grandson Chad Hunt.